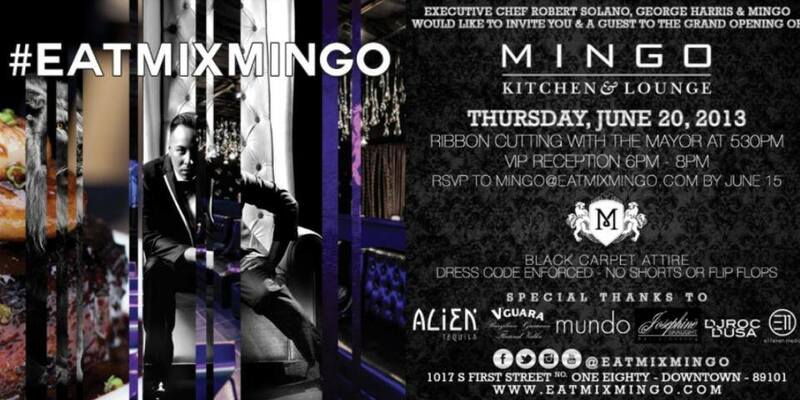 The Mingo Kitchen and Lounge Grand Opening is opening this Thursday, June 20th 2013 with a ribbon cutting with the Mayor at 5:30pm with a VIP reception from 6 pm to 8pm. This event is black carpet attire with dress code strongly enforced. This restaurant will be opening with Executive Chef Robert Solano, George Harris and Mingo Collaso of Mundo. There are suppose to be power plugs at the bar for people to charge while they are having cocktails. On the food menu you will find small bites such as three cheese baked mac, tomato crustini and spicy fried wings. If you are looking for something more filling you can try the spicy honey glazed mahi mahi or the open-face fried egg sandwich. 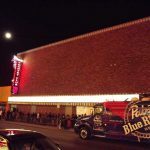 Mingo Kitchen and Lounge will serve $3 Mingo by PBR as well as other beers like Blue Moon Vintage Ale, Red Impluse and Crispin Hard Cider.